Fall 1989: The Long Island Sound - a 6 CD box set from the Jerry Garcia Band and Bob Weir & Rob Wasserman released on Round Records. This archival release features two complete performances with over 5 1/2 hours of previously unreleased music from September 5th, 1989 at the Hartford Civic Center in Hartford, CT and September 6th, 1989 at Nassau Coliseum in Uniondale, NY. 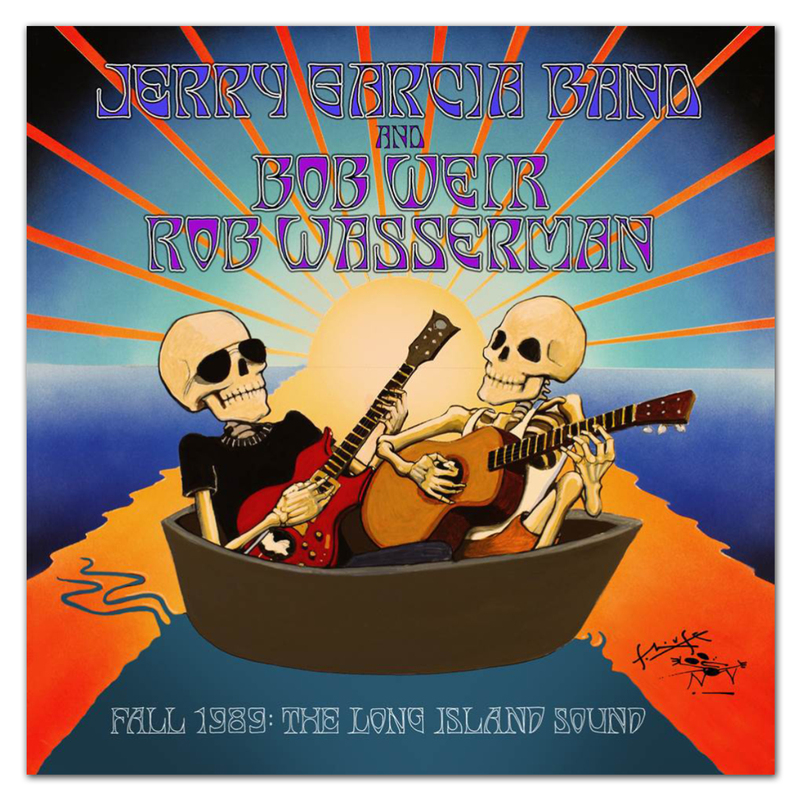 Fall 1989: The Long Island Sound celebrates the storied East Coast 1989 run which featured acoustic duo Bob Weir and Rob Wasserman setting the stage for two nightly sets from the Jerry Garcia Band.